My husband, bless his heart, is darn near perfect. He treats me like a queen and helps with some of the chores. He's generally the cook of the house and I'm the cleaner. I don't normally mind picking up after him but, once in a while, he'll make a big ole' mess. And, sometimes he won't tell me about said mess and I discover it on my own. Just the other day I went to do dishes and noticed a film of food and grease on one side of the sink. Jason had drained grease into the sink and let it sit (big no, no!). I took out my handy dandy bottle of Mean Green Super Strength Cleaner & Degreaser and sprayed the sink down. In no time at all, my sink was clean again and I was able to carry on with doing the dishes. As a Mean Green Ambassador, I received cleaning products from the company. 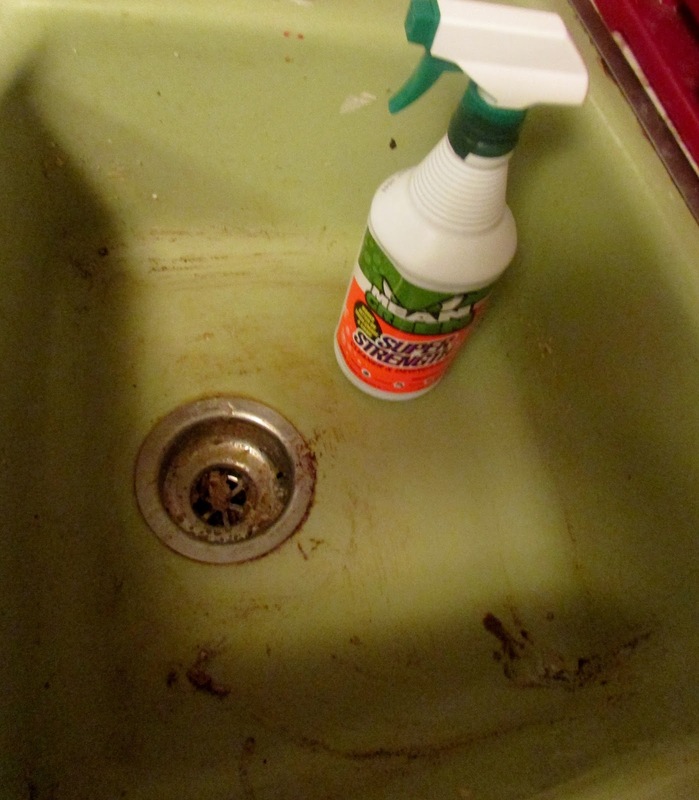 I've used the Mean Green Super Strength Cleaner & Degreaser in the past but hadn't used the other products before. Not only have I gotten my sink clean, I've also brought back shine and cleanliness to other areas of my house. I've been on a Spring cleaning mission, and Mean Green makes it easy. 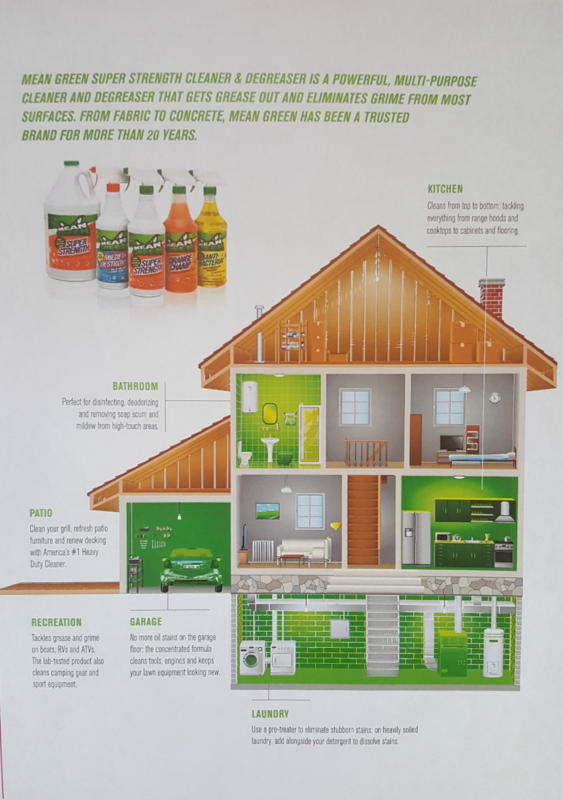 Launched in 1990 in Spartanburg, SC, Mean Green Super Strength is made with a unique blend of detergents and solvents that make one of the most powerful cleaners I've encountered. Lab tests have shown it outperforms nearly every other cleaner on nearly every stain. Mean Green is non-toxic, biodegradable and contains no acid, bleach or ammonia. Mean Green Orange Champ is another cleaner from the company. It can be used on the same stuff as the Super Strength Cleaner & Degreaser, but it has a fresh citrus aroma. Like I mentioned before, my husband doesn't necessarily clean. But, he tinkers with cars in his garage and has talked highly of Mean Green Auto & Garage. It is formulated to remove and dissolve petroleum based grease, grime, and oil from engines, tools, and concrete. I have to give Jason props; he actually tidied up his garage and tools using this cleaning product. I guess since he was able to do it without overexerting himself and he was able to notice how well the cleaner worked, he didn't mind straightening out his "man space". We mustn't forget about the Mean Green Mildew Destroyer. It's to be used in the nastiest of places, like the tub, toilet, trash cans, and sinks. This particular cleaner does contain bleach, and it is pretty strong so be sure to keep the area you're cleaning well-ventilated. Mean Grean cleaning products make getting my house back in shape this Spring season so much easier. I can see the gleam and shine. 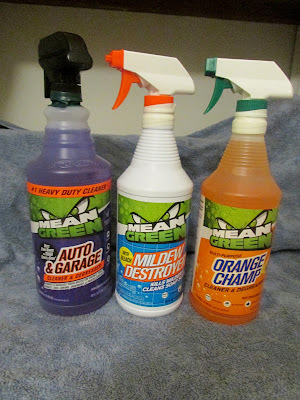 As you begin your Spring cleaning, consider Mean Green for all your cleaning needs. Your automobile, garage, and entire house will thank you. I haven’t started spring cleaning yet, but I'm looking forward to it...My house needs a good cleaning. 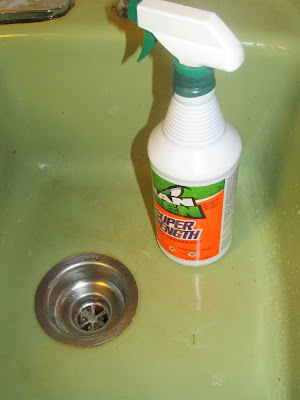 I'll try Mean Green products now, that sink looks great! Sooo shiny! I need to find a really good cleaner for the bathroom. It took forever for the landlord to fix the toilet and since it couldn't flush right, there was always something sitting in there and strong stains have appeared. I'm hoping this solves those stains! Here's hoping!